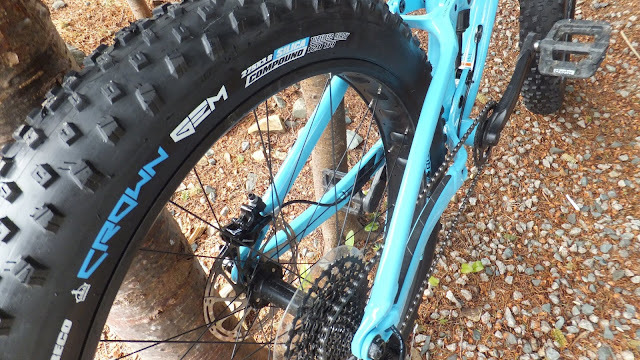 The Crown Gem can be found throughout the entire Vee Tire line-up, with the fat version designed specifically for the 27.5 wheelset stretching the tire to 3.8” wide. While available in one size, they are offered in two compounds - Silica Compound (SC) and Multi Purpose Compound (MPC) with the primary difference being pliability of the rubber. The SC having a hardness of 66A and the MPC 58A. 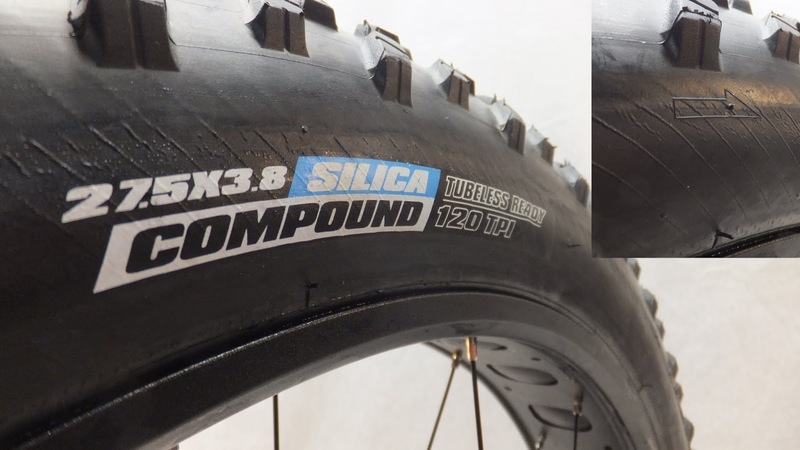 Fatbike Republic received a pair of silica compound for testing. 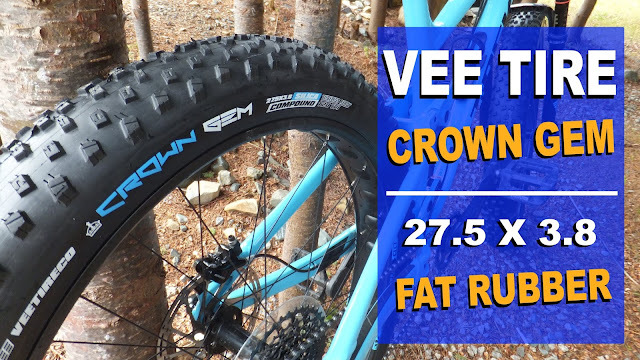 Like many of the fat tires in the Vee family, the Crown Gems are directional, have a folding bead, and are tubeless ready with a 120 TPI. What is quickly obvious about this tire is the absence of super aggressive, rock gouging, stump ripping lugs. 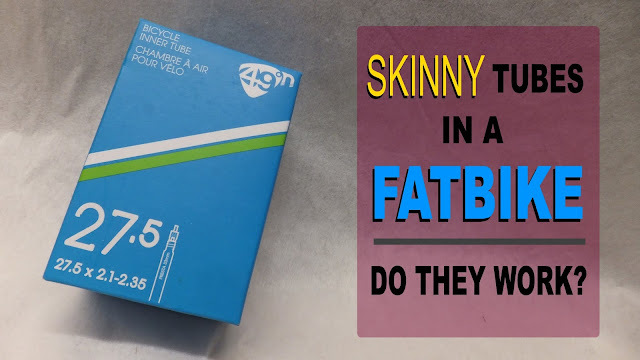 Vee chose to tone down the aggression a little - using similar sized pocketed rectangular lugs. 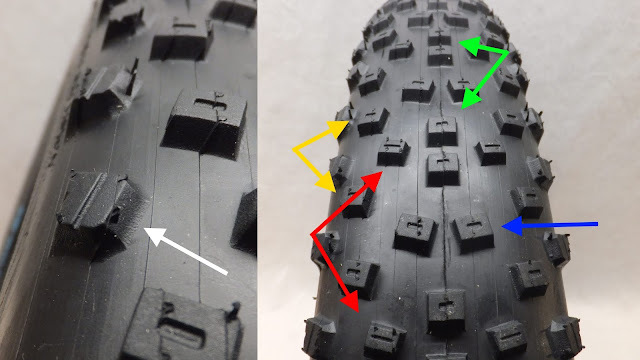 Running down the center of the tire are vertically paired, slightly ramped rectangular lugs (green) matched with the same lugs but horizontally paired at opposing angles (blue). The first transitional row consists of widely spaced, slightly smaller rectangular lugs that mirror the orientation of the center row horizontal (red). 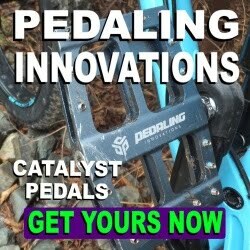 These are flanked by medium sized, rectangular, slightly ramped lugs that are oriented the same as the first transitional (yellow). The shoulder lugs on the Crown Gem consist of evenly spaced, multi-faced lugs that creep ever so slight onto the sidewall (white). 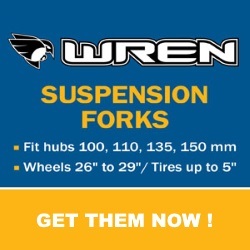 All lug are either grooved or pocketed. 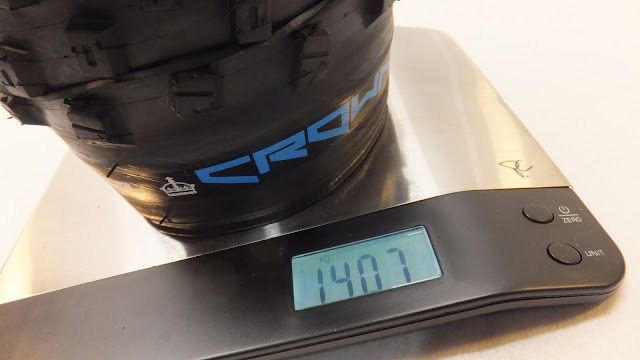 The claimed weight of the 27.5 x 3.8 SC Crown Gems is 1445g, but when dropped on the scales they are slightly lighter at 1407g . . . which is nice. 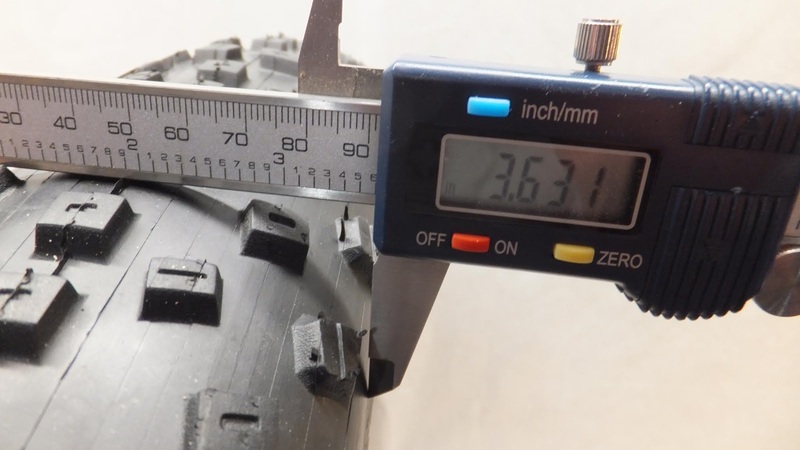 Mounting them up to an 80mm rim at 8psi they measure in at 3.63” which is slightly under the claimed 3.8” – which is consistent with most fat rubber. Tread depth is as follows: center (4.65mm/0.18”), first transitional (4.42mm/0.17”), second transitional (4.2mm/0.16”) and shoulder (4.15mm/0.16”). While there is a slight tapering in depth from the center to the shoulder lugs, the overall 0.5mm difference (the thickness of mechanical pencil lead) is not significant. This gives the tire more of an even profile. 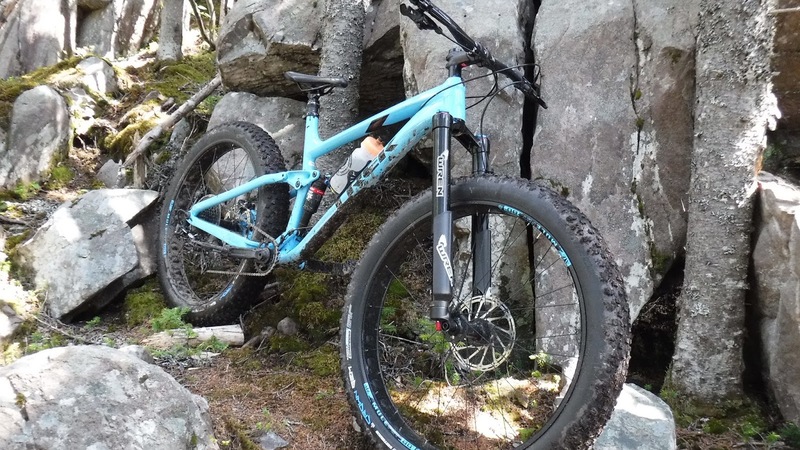 When Fatbike Republic added a new long term resident to its stable (Trek Farely EX8) it was quickly realized that tire options are relatively limited in the 27.5 fat size. Having several hardtails, the full-suspension fattie (with aftermarket Wren Fork) was a welcome addition to smooth out those really rough mountain bike trails. Mounting up the Crown Gems was a straight forward process. 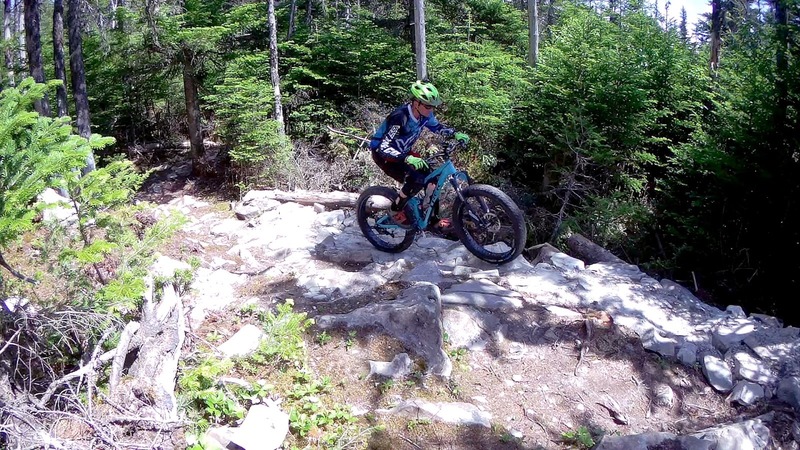 Not being a tubeless guy, I swapped out the heavy fatbike tubes for some skinny 27.5 tubes and settled on 12psi as an initial operating pressure. For regular trail riding I would normally run about 8psi, but as the EX8 would be ridden more aggressively over rougher terrain I wanted to reduce the possibility of pinch flats. My first spin on the Crown Gems was after a particularly heavy rain storm. 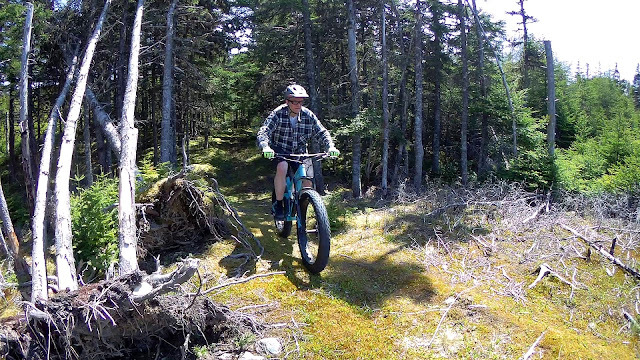 By the time I hit the trails the water had been mostly absorbed, however the roots were rather wet and the rocks were damp and sweating. 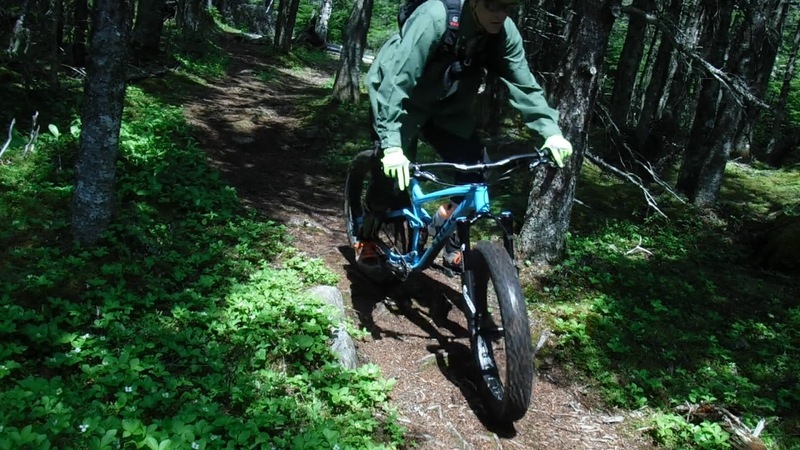 Navigating the slightly soggy trail I found some tire slippage in the mud and on the wet rocks and roots. Pedal pounding resulted in a spinning rear tire. 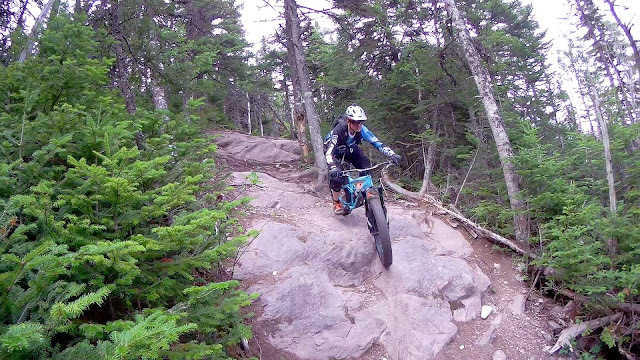 The front tire performed much better, only complaining on the slipperiest of trail bits. I was scratching my head heading back to the shop wondering why the Crown Gems did not perform better because they look good on paper. 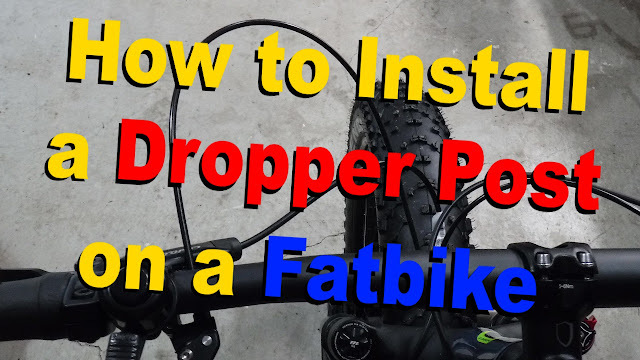 After confirming I mounted them correctly, I decided to drop the tire to 10psi for my next soggy ride knowing that tire pressure is very important on fatties. 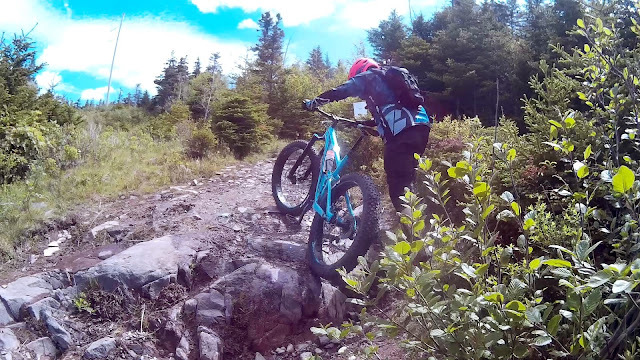 The next few rides the tires encountered mostly dry mountain bike conditions. The Crown Gems had no issues climbing or descending solid and multi-piece rock faces, nor did roots pose any climbing challenges. 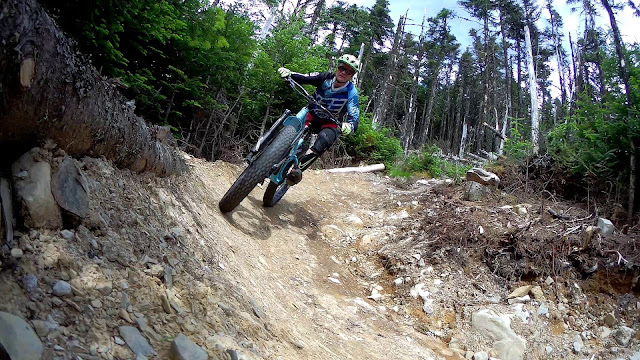 The tires were playful in the dirt, stuck to the berms and tracked where pointed. 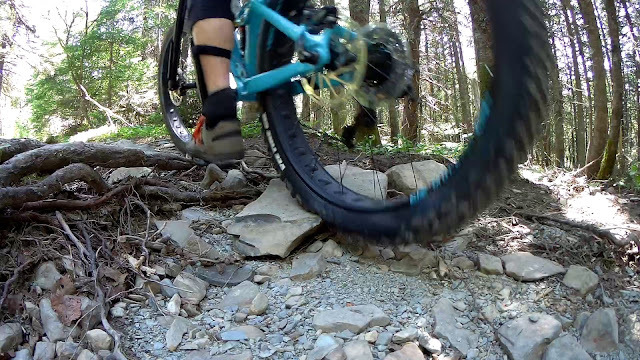 I also found that they did indeed roll pretty quick compared to some more aggressive 26" tires I have ridden. 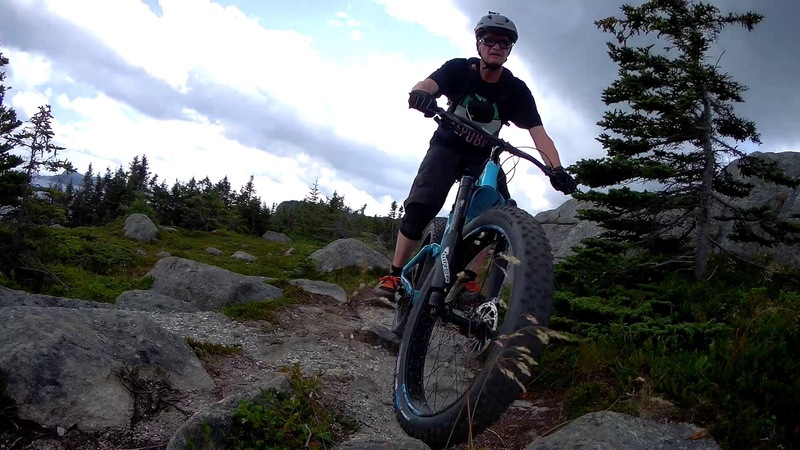 Dirt drifting was a little more challenging with the tires wanting to hook up more than break free. In the loose stuff the Crown Gems chewed their way through the rubble keeping things moving. 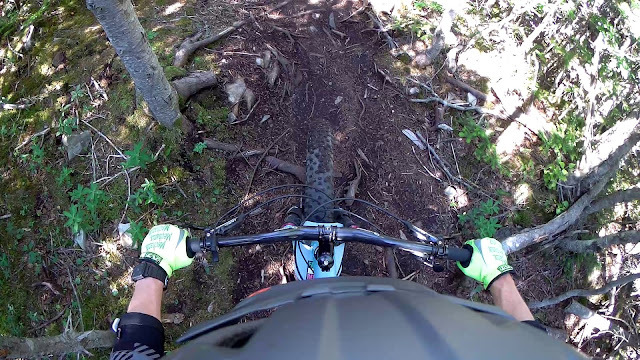 I spent several weeks pounding the trails waiting for another wet day to see how the tires would perform on soggy trails with the lower psi. That day arrived and I headed out with a few additional fabikers. 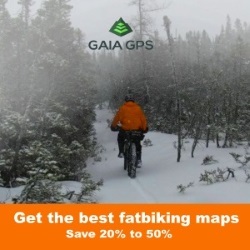 I dropped the psi from 12 to 10 and noticed a significant increase in performance. 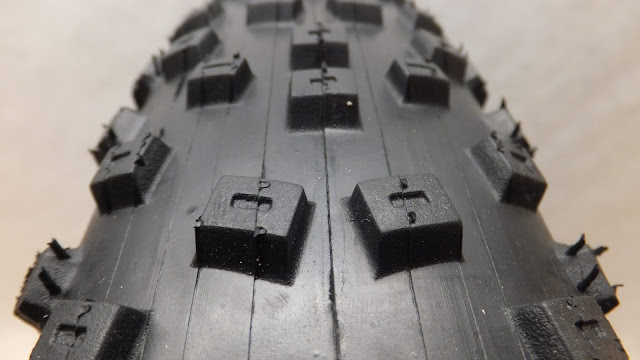 Tire slippage was not completely eliminated, however it was significantly reduced to the point where slight modulations in pedal pressure kept traction on all but the slipperiest of roots. 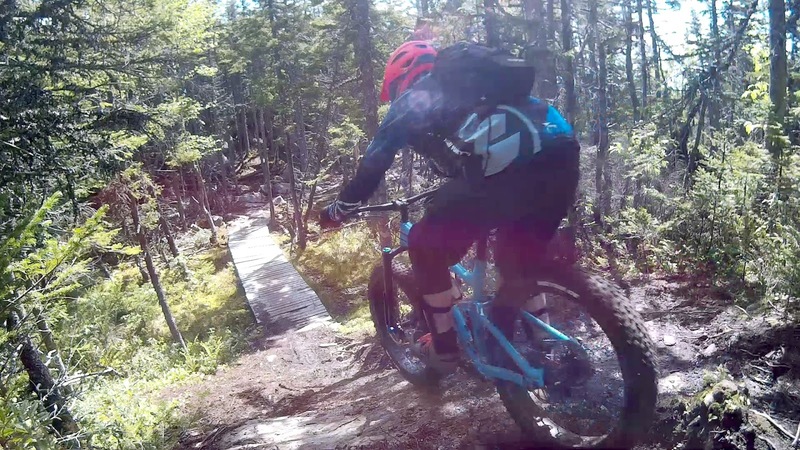 While the majority of the trail time on the Crown Gems focused on demanding mountain bike trails, they did see some time prowling the back woods. Riding through soft dirt, moss, rocks and embedded stumps posed no issues for these 27.5 x 3.8 meats. I think Vee Tire's first venture into the 27.5 fatbike tire arena is a success. Unfortunately, I did not have the opportunity to roll the Crown Gems in the snow. While the lack of studs might impact ice riding, I anticipate they would perform well in groomed/packed white stuff. 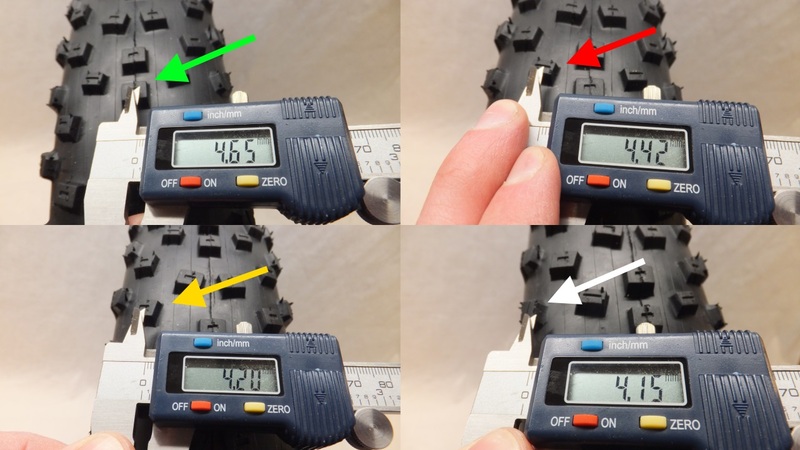 Sweaty rocks and greasy roots did result in some tire slippage at higher tire pressures, but dropping a few psi allowed the Crown Gems to regain their footing. However, there were no complaints on dry technical trails when running higher or lower psi. And if you prefer gravel grinds or back woods exploration, the Crown Gem should not let you down there either. 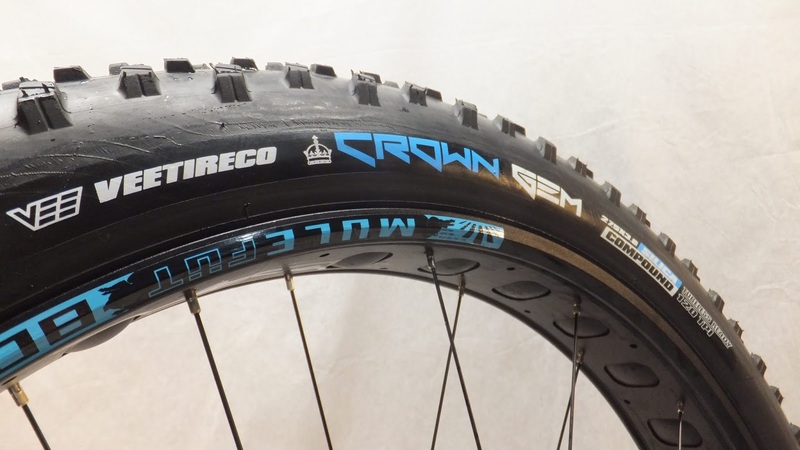 If in the market for 27.5 fatbike rubber, be sure to take a close look at the Crown Gem.